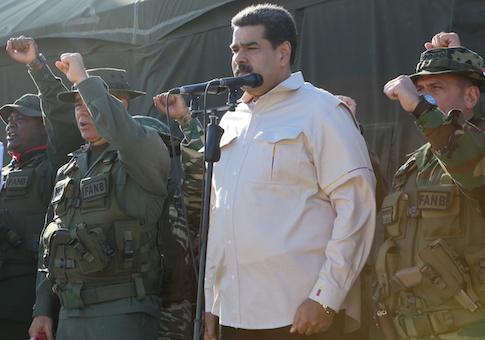 MOSCOW/LONDON (Reuters) – Venezuela's Nicolas Maduro has sought OPEC support against U.S. sanctions imposed on his country's oil industry, citing their impact on oil prices and potential risks for other members of the producer group. I seek "your firm support and collaboration to jointly denounce and face this shameless dispossession of … important assets of one of the members of OPEC", the letter said. He wrote that OPEC should help to determine potential solutions based on "the impact that this action has on the global energy market, and the risk it represents for the other countries … of this organization". This entry was posted in National Security and tagged Nicolas Maduro, Sanctions, Venezuela. Bookmark the permalink.